Josh holds a Bachelor’s Degree in Music Education and a Master’s Degree of Music Performance from the famed University of North Texas percussion program. During his time at UNT, Josh studied percussion with José Aponte, Christopher Deane, Ron Fink, Mark Ford, Paul Rennick, Dr. Robert Schietroma, Ed Smith, Ed Soph, and Poovalur Sriji. At UNT, Josh toured and performed with a multitude of Percussion and Jazz ensembles. Most notably, Josh also spent three years with the UNT "A Line"; winning multiple Percussive Arts Society Drumline Championship titles. Josh began his music career in Flower Mound where he was a member of the Marcus High School percussion section where he received a number of honors and awards under the direction of Kennan Wylie; including three PASIC national championship titles and first place in the PAS individual keyboard competition. Josh also spent six years marching with the Madison Scouts Drum and Bugle Corps and received numerous accolades in the world of Drum Corps International. Josh was featured in the 25th Anniversary issue of Modern Drummer for receiving the highest individual percussion score in the DCI I&E competition. When he’s not teaching in Irving, Josh can be found performing every kind of music imaginable either locally or internationally. For example, Josh was a percussion co-coordinator and performer for the NHL Dallas Stars 2006-2007 season. Josh served as designer and performer as an inaugural member of the Cutting Edge Drummers for the Cutting Edge Haunted House in Ft. Worth, TX in 2005 and 2006. As a world percussionist, Josh has performed with such artists as Bossa Tres in Chicago, IL; Sesame Flyers Steel Orchestra of Brooklyn, NY; Grooversity Brazilian group in Boston, MA; Cuatro em Cantos in Salvador, Brazil; the Papetoai Village music group of Moorea, Tahiti; and with the Genta/Nagaoka Brazilian Jazz group in Tokyo, Japan. In addition to performing with his own Brazilian Jazz group, Josh is an active member of the Dallas/Ft. Worth musical scene as an in-demand performer with Brasuka!, the Eymard Furtado Group, Nina Katrina, Te Toa Tahitian Drum Group, Sweet Steel, and the Grace Hula Dance company. He served as the international manager and key percussionist for the American new music group, FOUNDRY, featured at the 2012 International Drum Festival in Taiwan with Composer/Performer Andy Akiho. 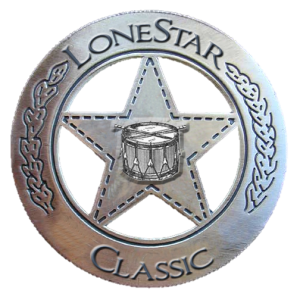 For the past 3 years, Josh has been a member of the Dallas-based Percussion group, D’Drum. They have performed the work “Gamelan D’Drum,” commisioned for the group by former Police drummer, Stewart Copeland, with the Cleveland Symphony Orchestra and the Corpus Christi Symphony. In Fall of 2015, the group will present multiple performances of Gamelan D'Drum with the San Antonio Symphony Orchestra in conjunction with PASIC.